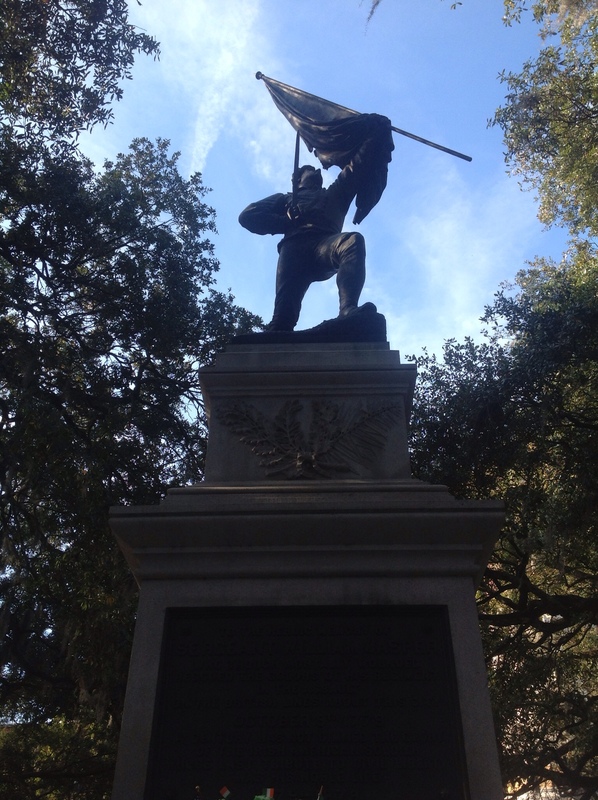 … in this city! 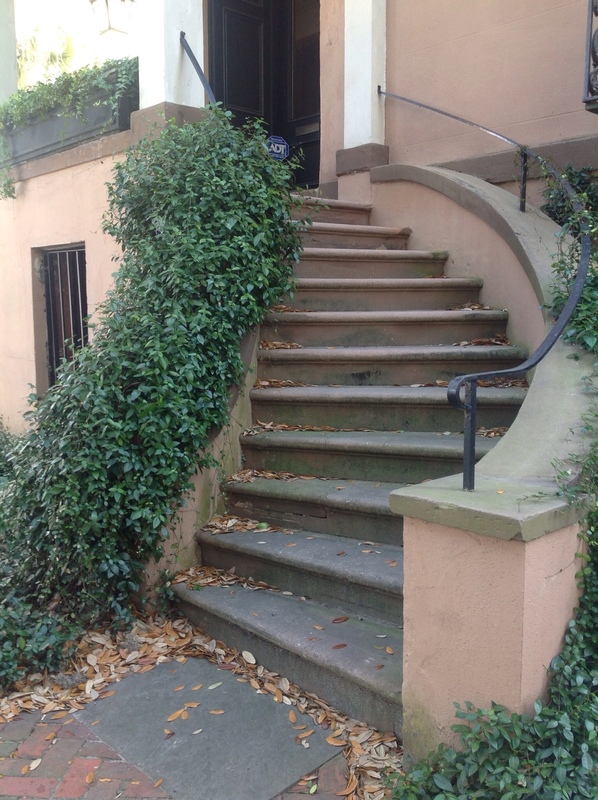 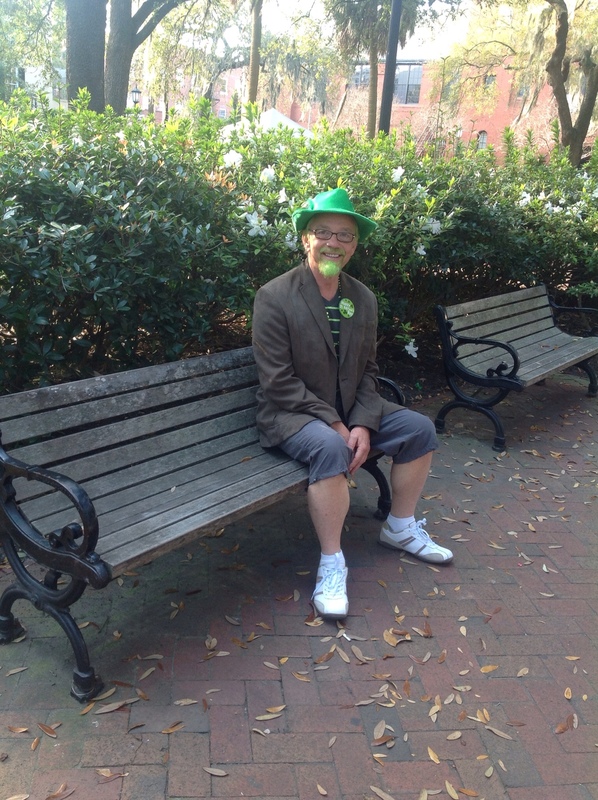 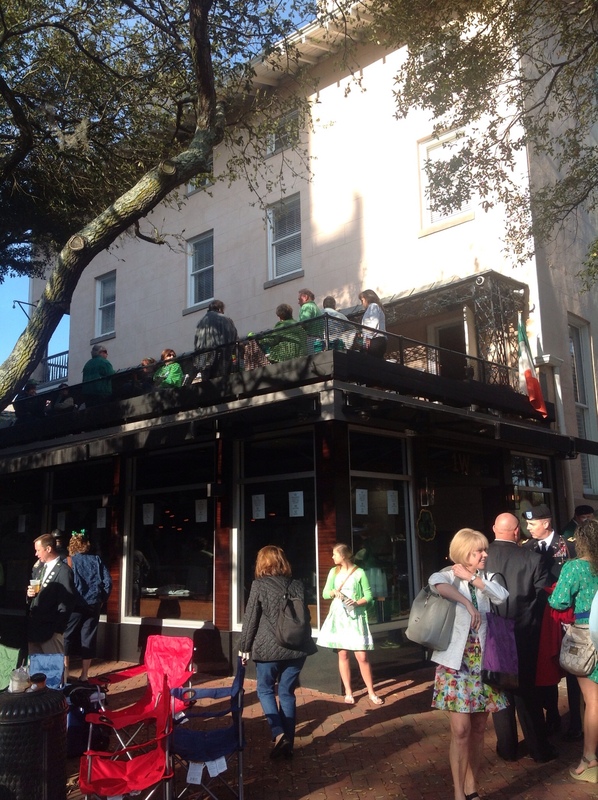 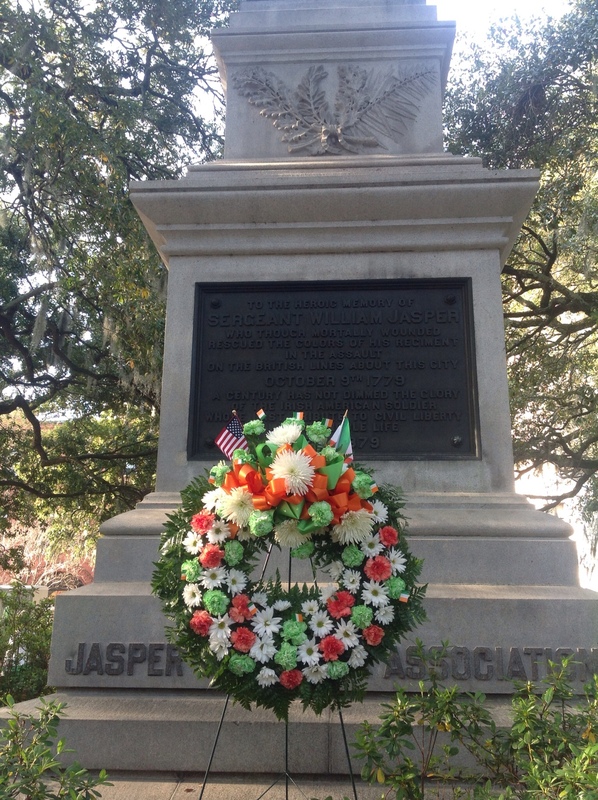 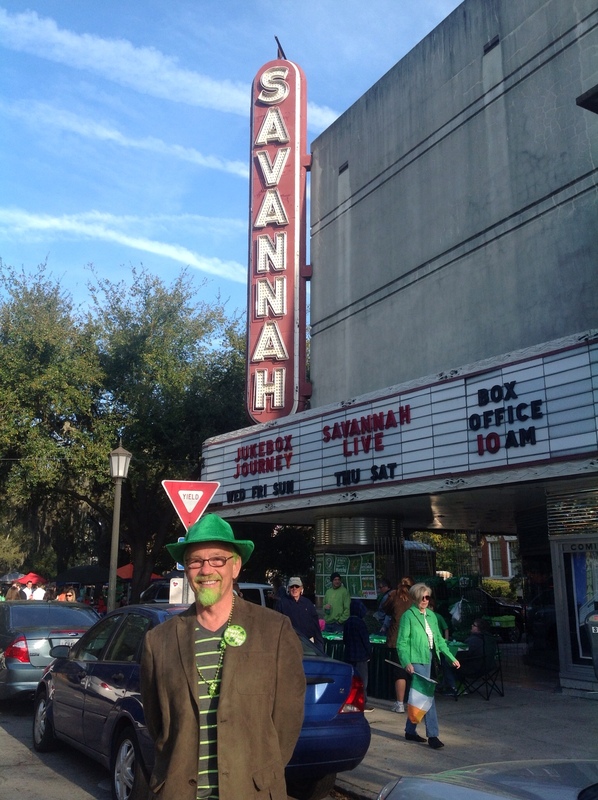 From the Greening of the Fountain and Tara Feis onward, Savannah embraces its Irishness, shamrocks growing and showing up everywhere, an already diverse and fesitval-driven city photosynthetically converting excited energy into green Gaelic joy. 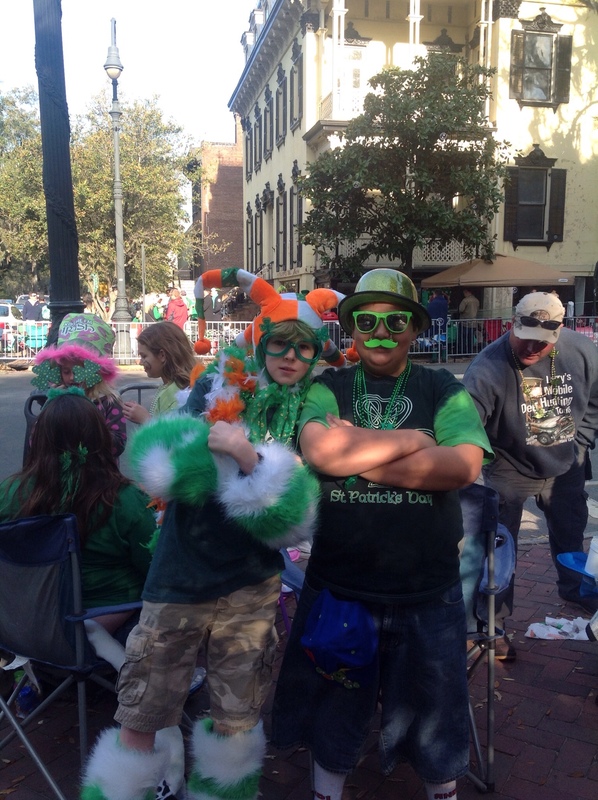 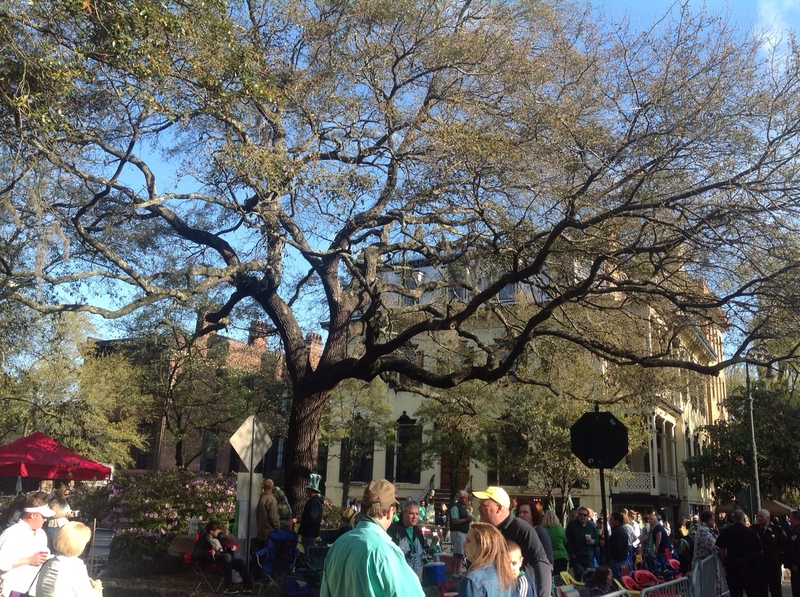 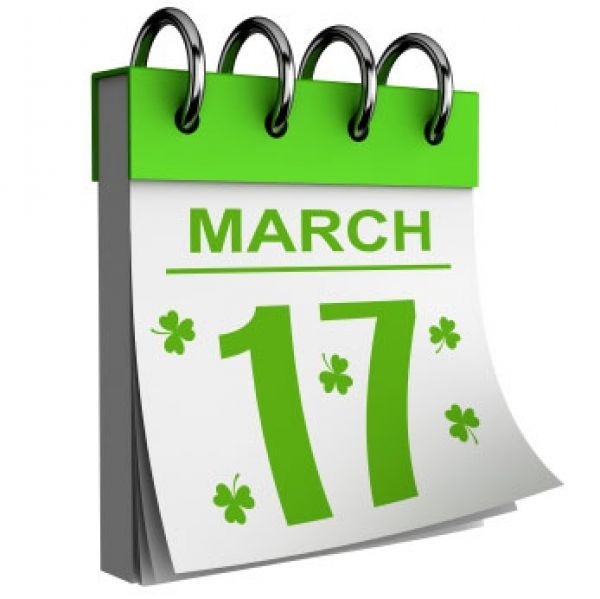 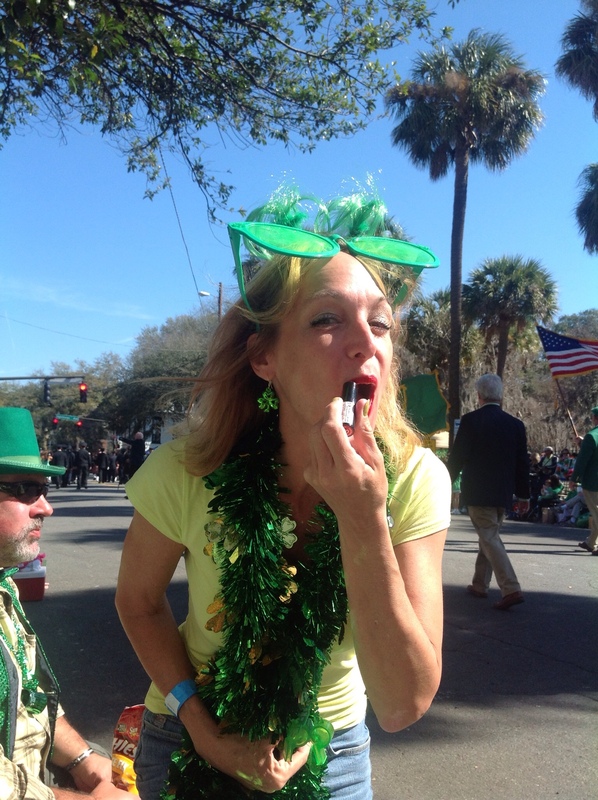 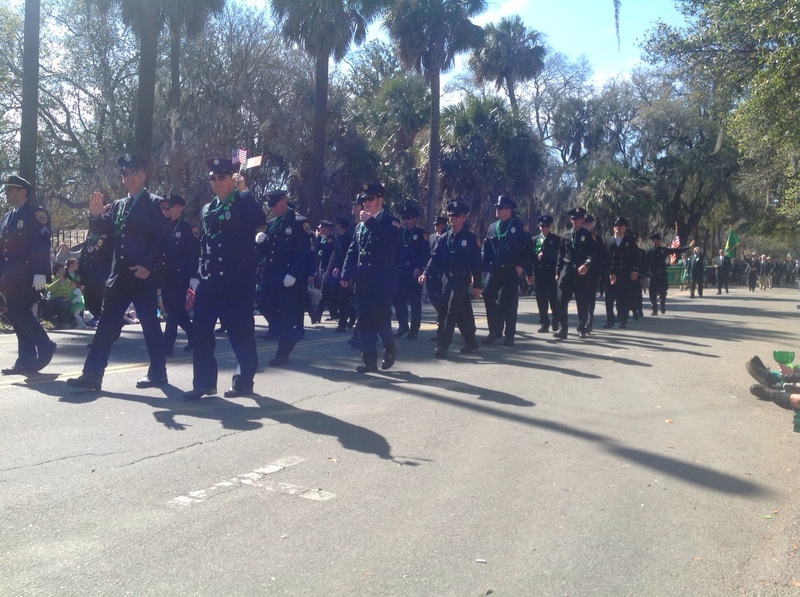 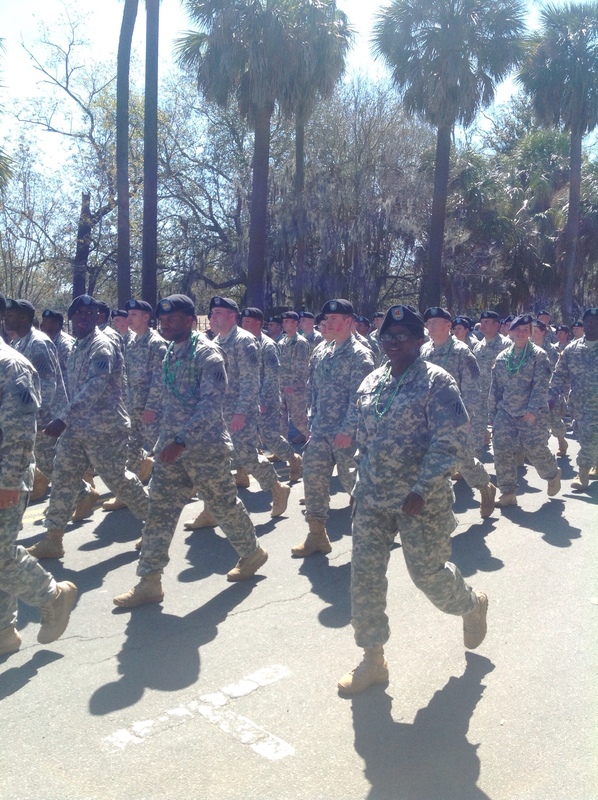 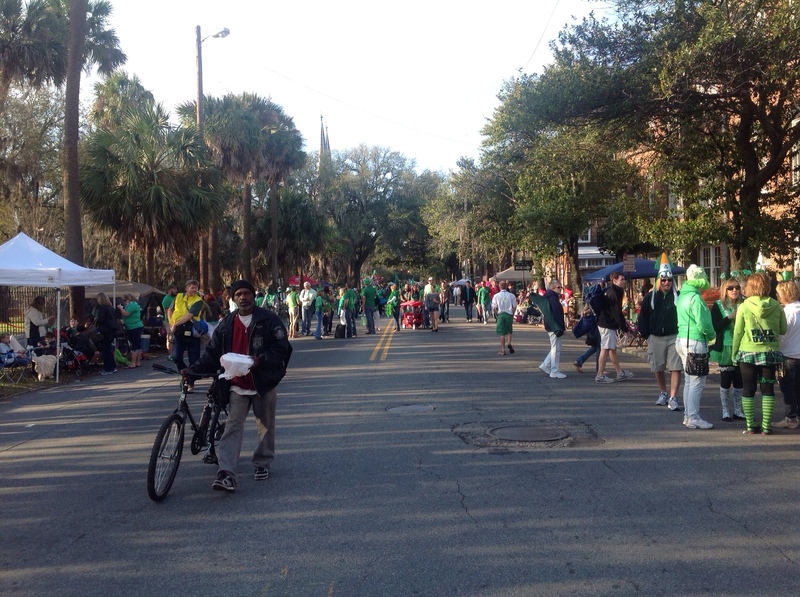 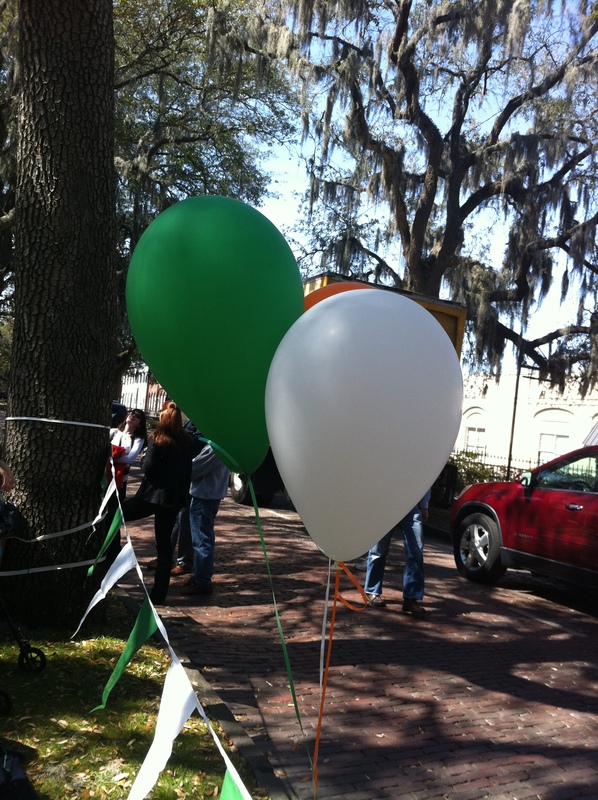 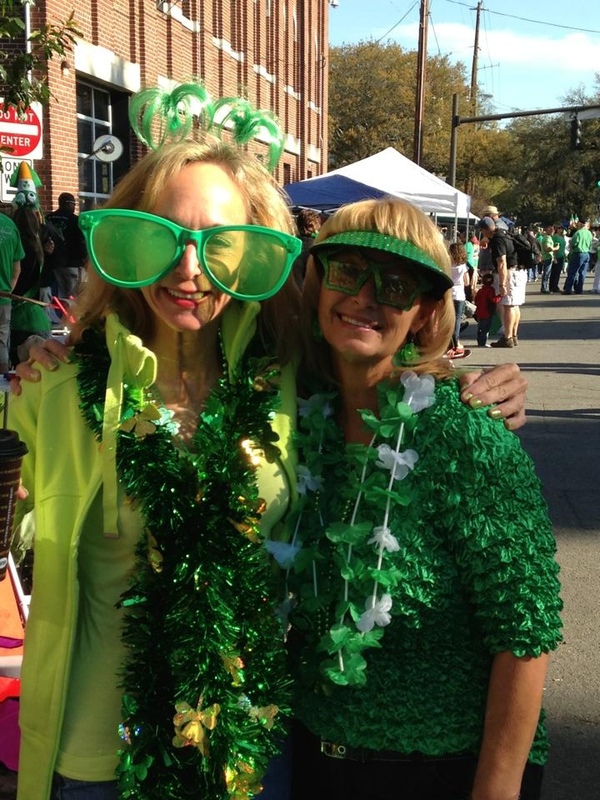 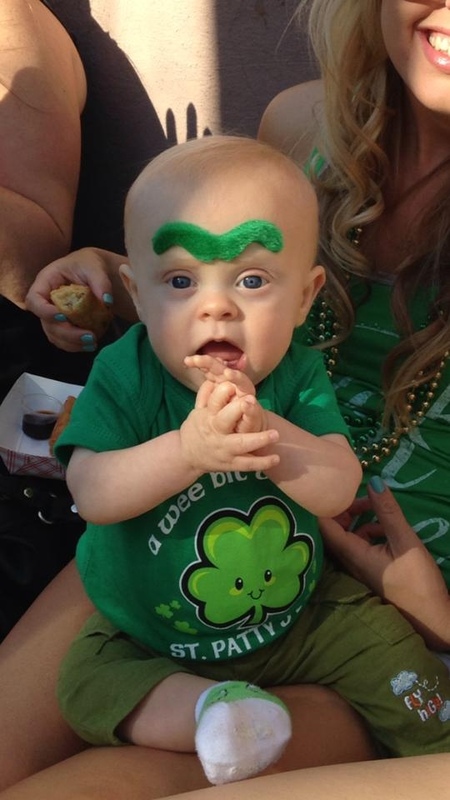 And since 2013 St. Paddy Day was Sunday, Savannah opted to hold its primary celebration on Saturday with the parade (the nation’s second largest), River Street revelry and other merrymaking events. 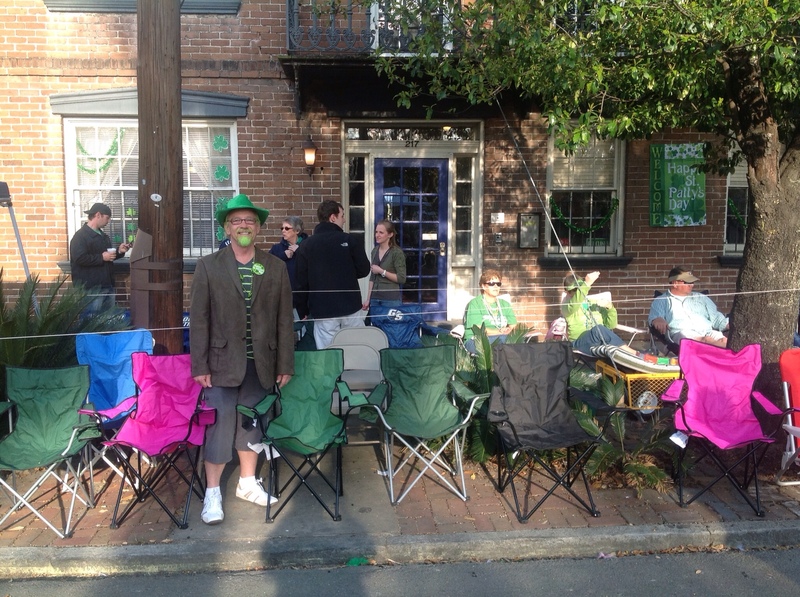 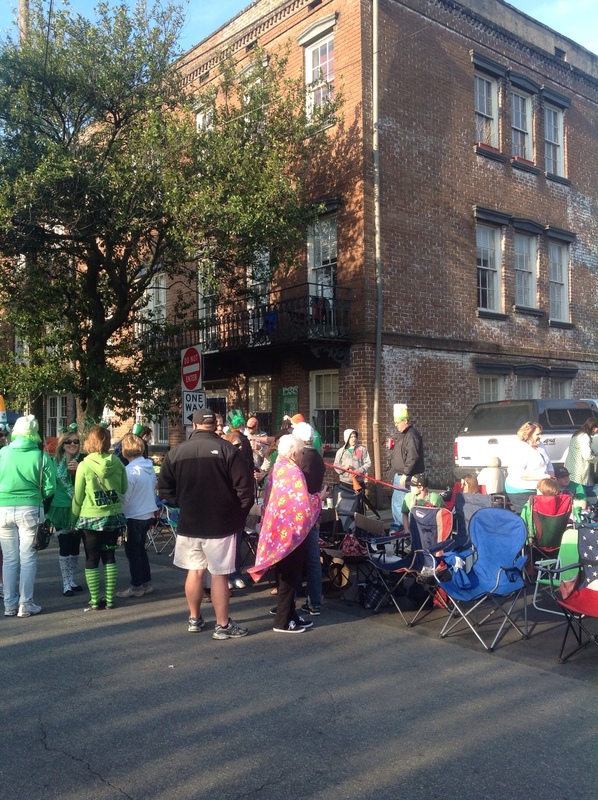 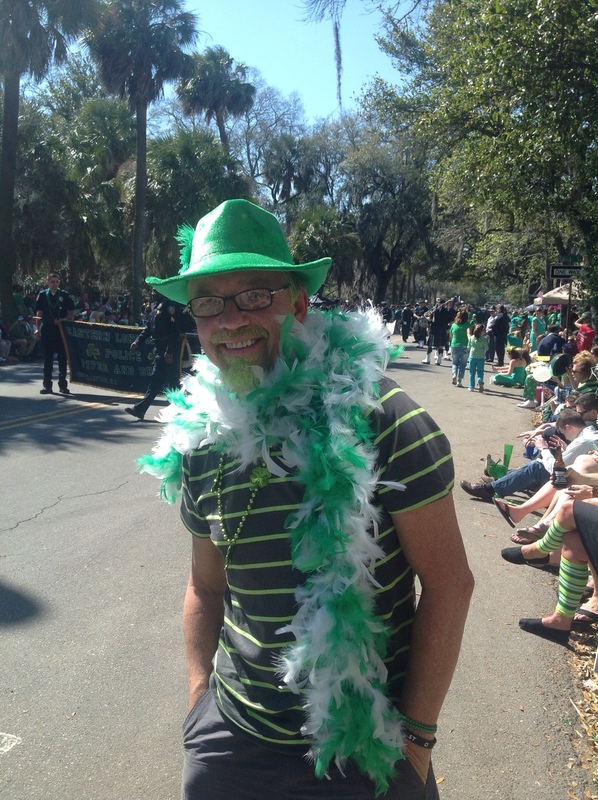 Since Yours Truly lives DIRECTLY on the parade route along Abercorn Street, and since some green Irish blood flows through my veins (Saye =”one who lives by the sea”), I decided to host a little parade-viewing party. 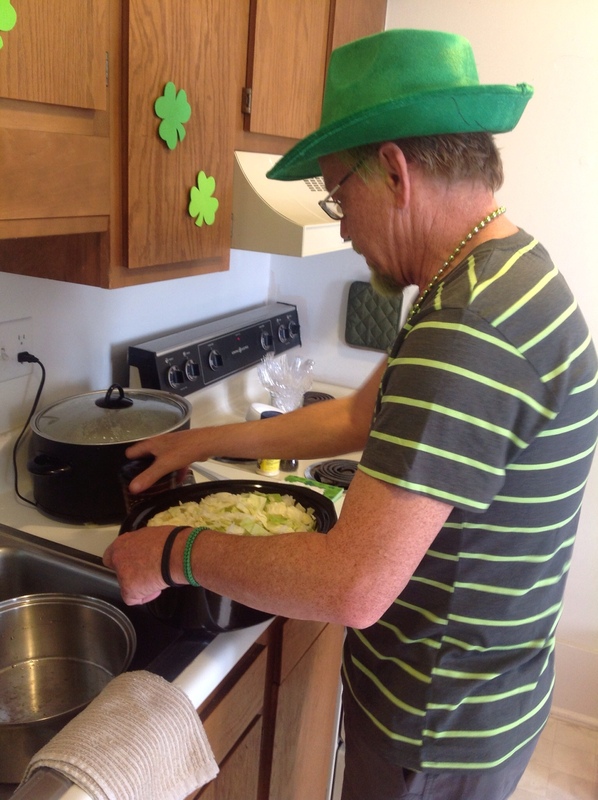 Party Prep Notes: For some reason I will never fully grasp, I decided to make Cabbage and Ham in the Crock Pot (or as I call it, Beverly Hillbilly-ishly, “the Slow-Cooking Pot”). 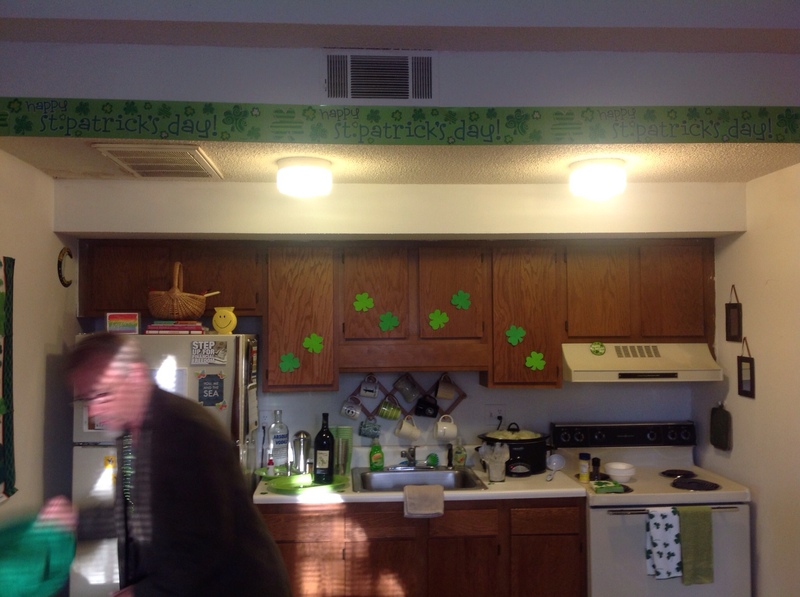 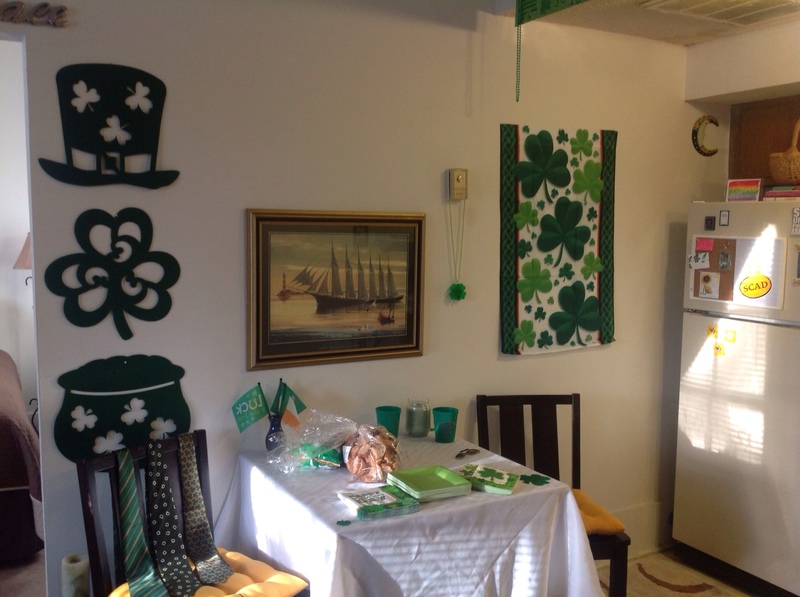 Here’s me helping to set up the area for guests to sit and watch the parade outside my building (my windows have the St. Patty tacky shamrock cutouts and green garlands). 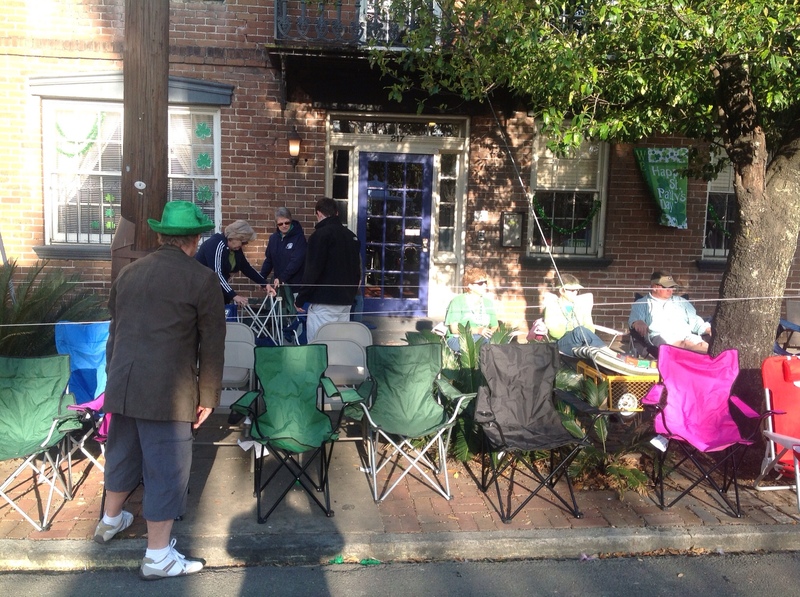 And then quickly back to my place where the crowd had grown during my foray. 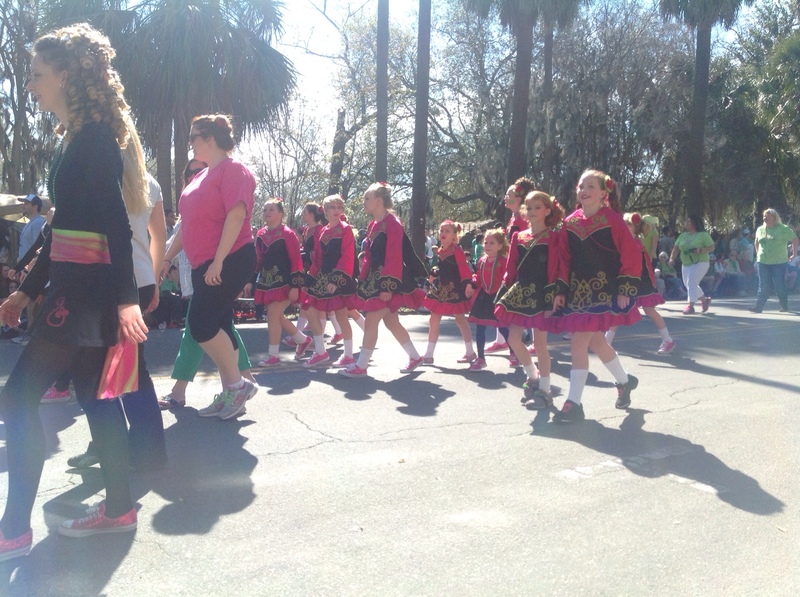 I wish I was brave enough to dance in the street! 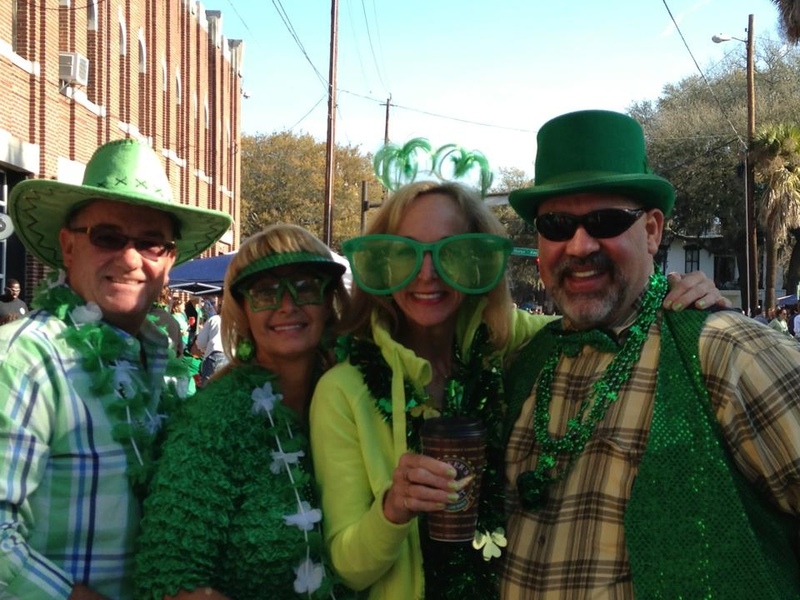 Made great new friends with some folks visiting from Maryland and staying in the vacation rentals in my building (so of course they were party guests too)–Kathy and Karen with their husbands. 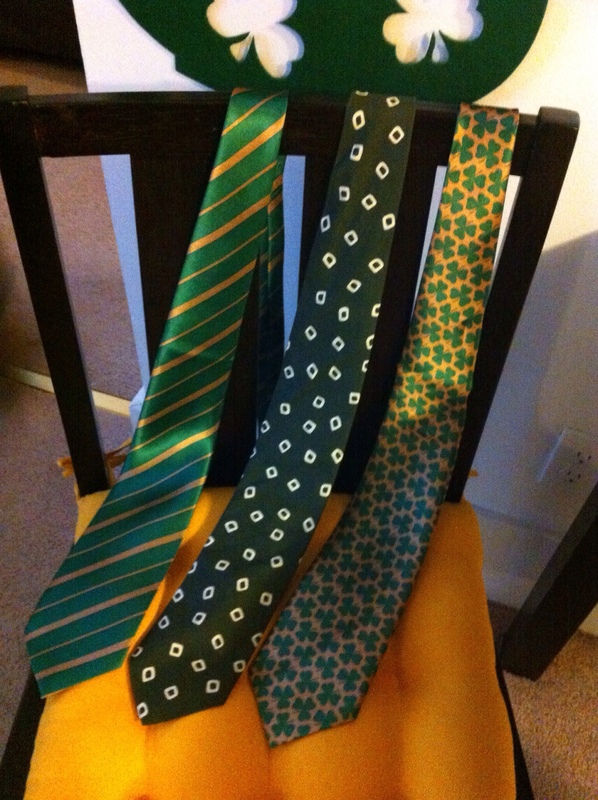 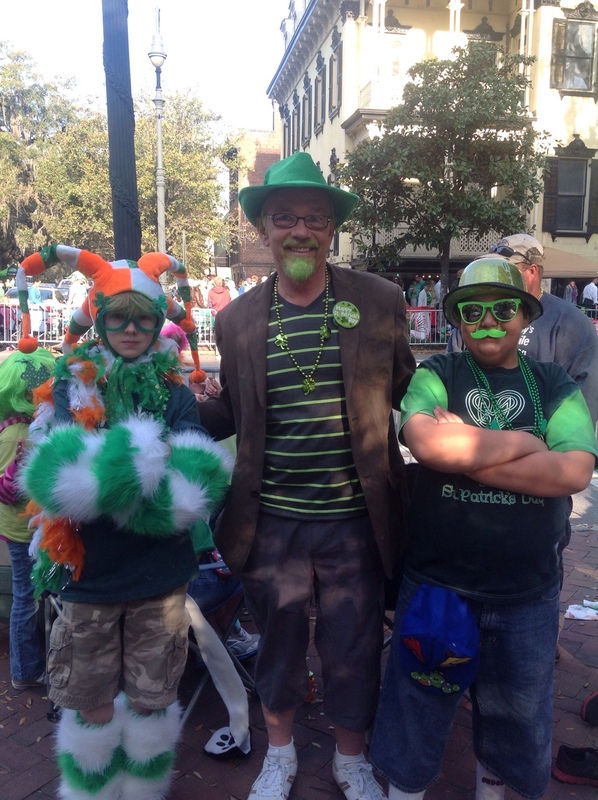 And don’t they look SO Saint Patricky? 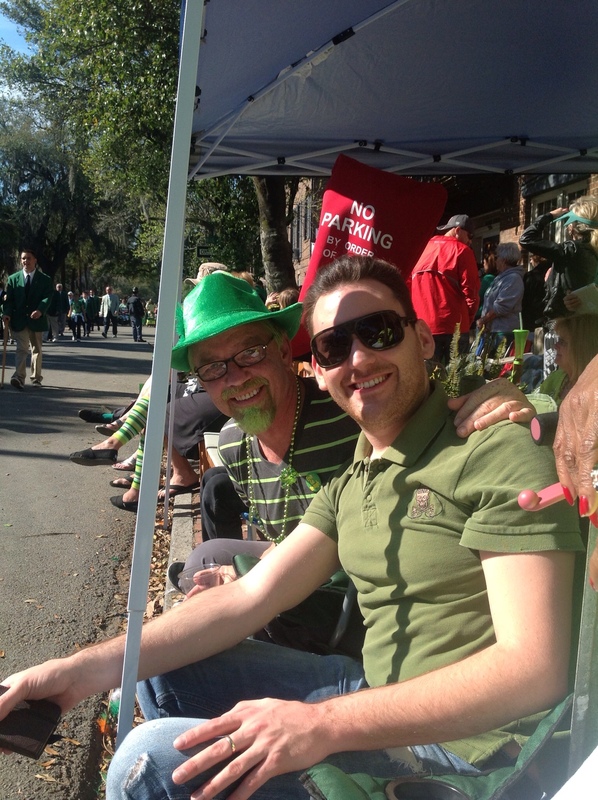 Good friend Zach and brother Josh marching in the parade (marching, that is, before I ran out into the street and made them stop). 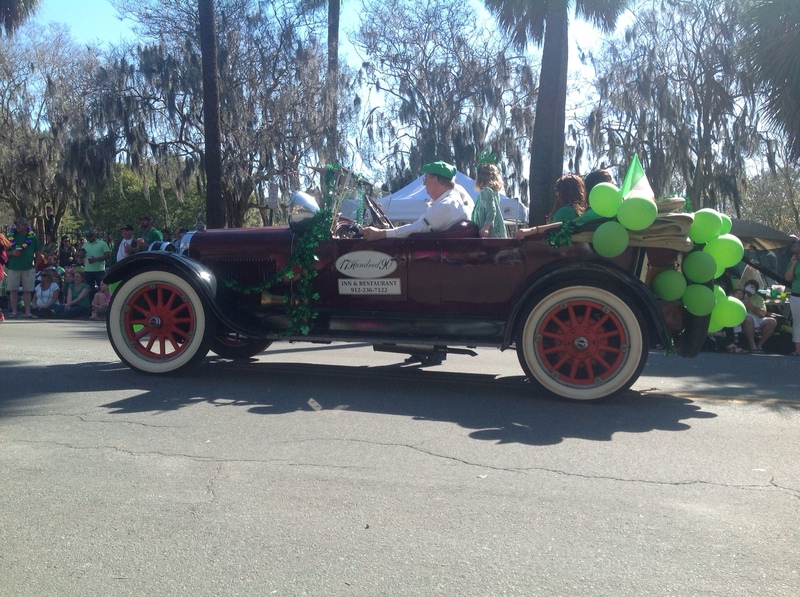 Their Irish family has been in the parade for something like 1000 years. 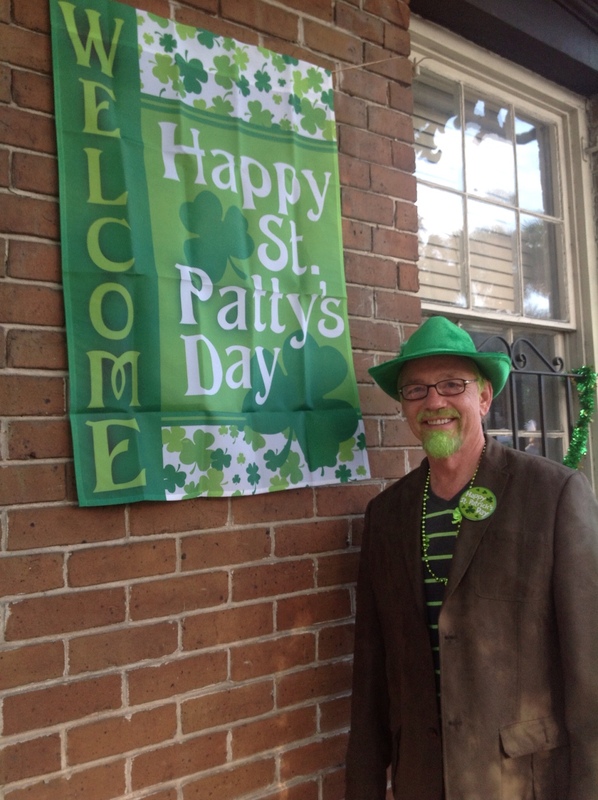 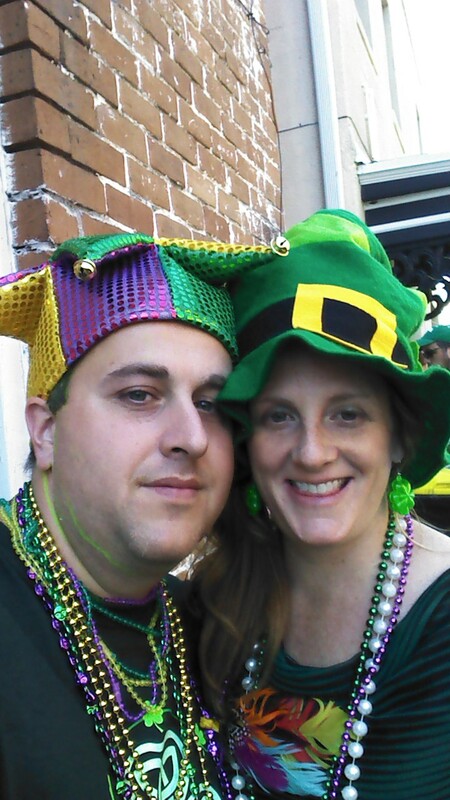 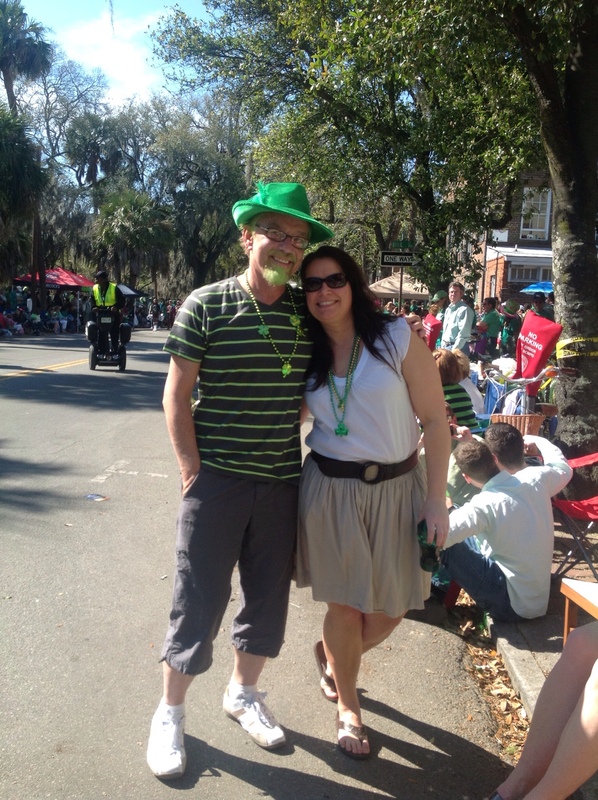 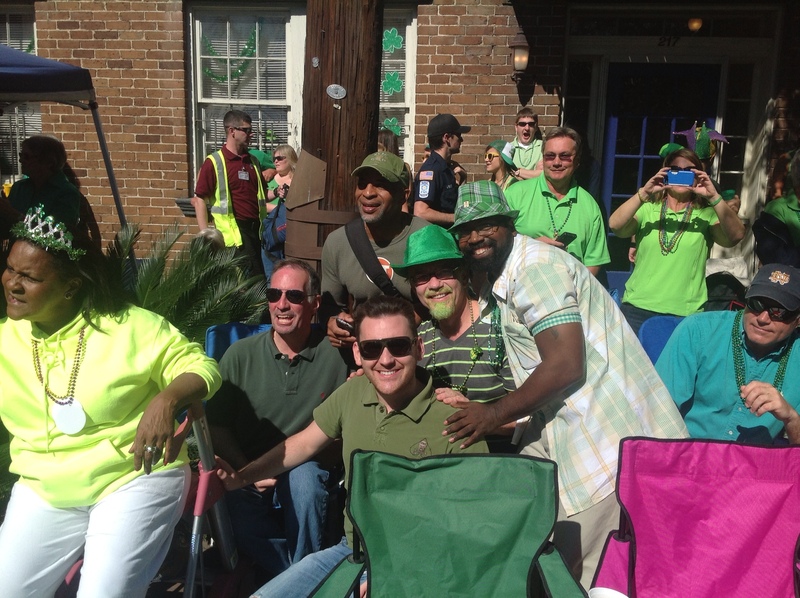 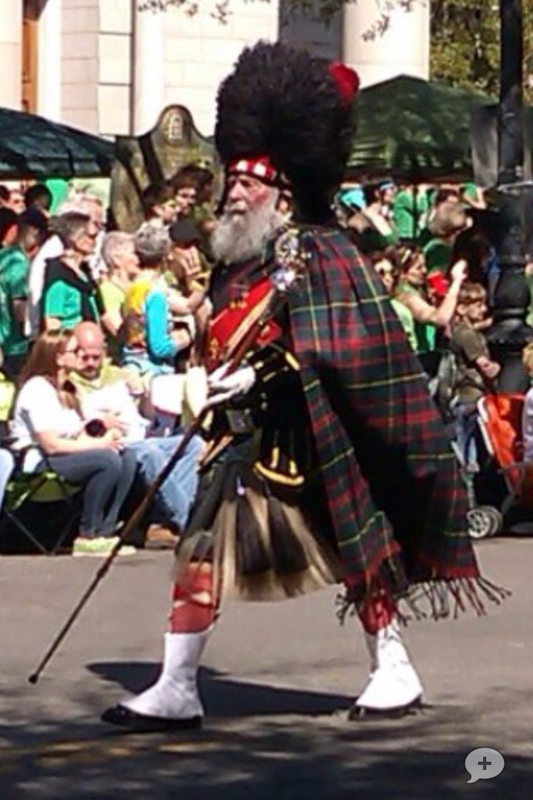 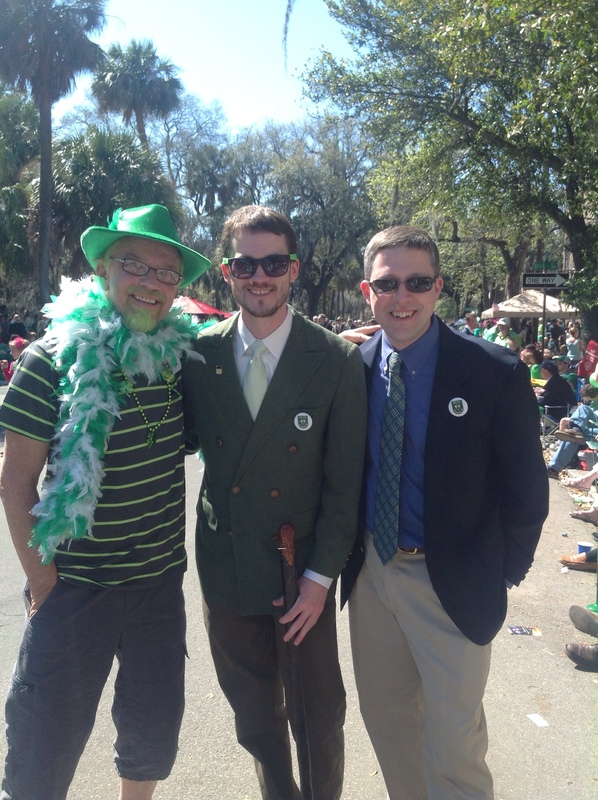 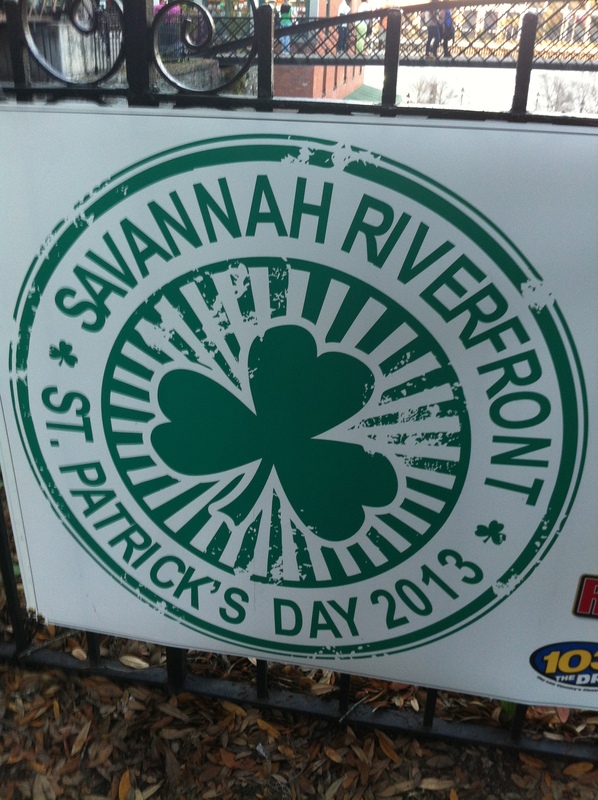 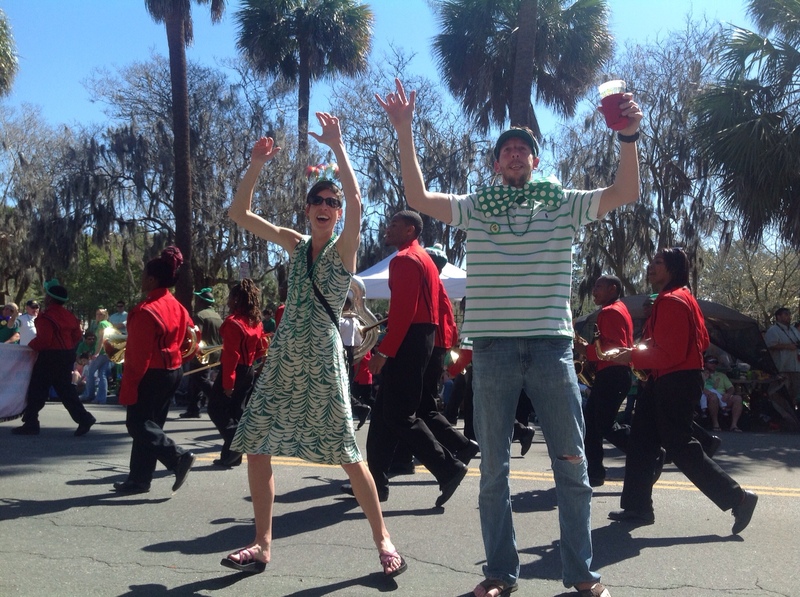 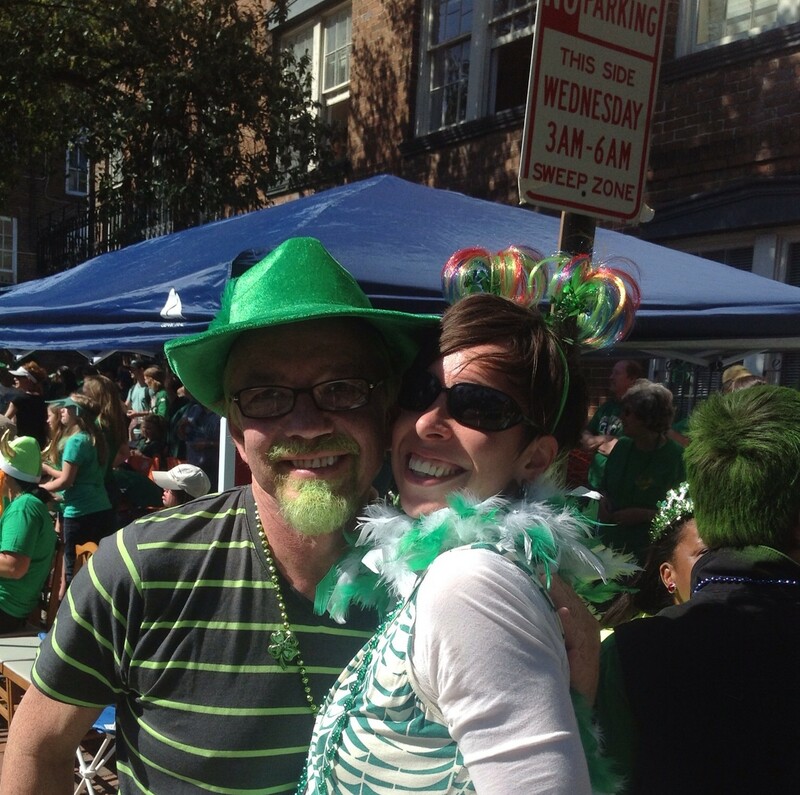 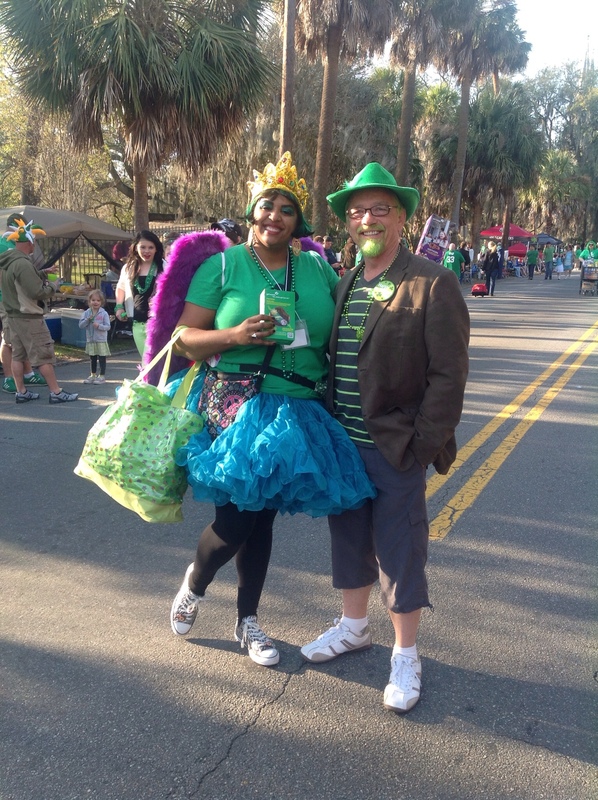 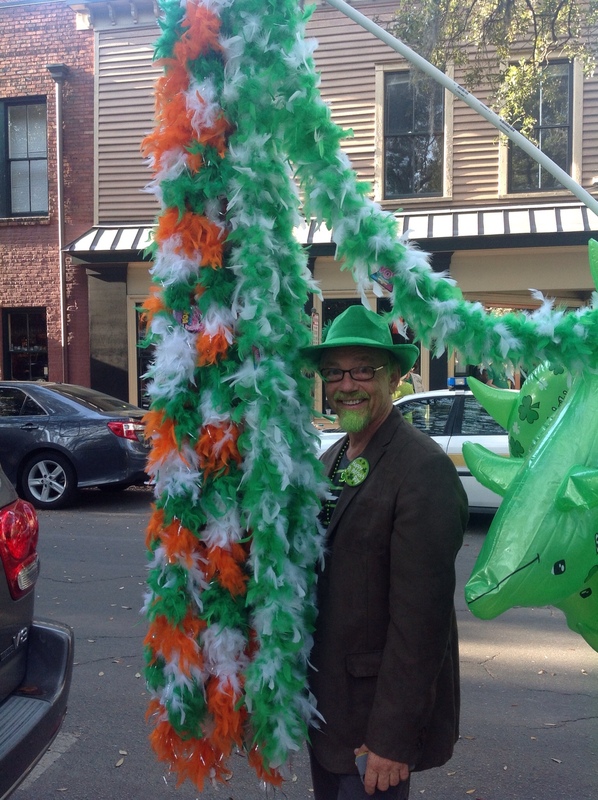 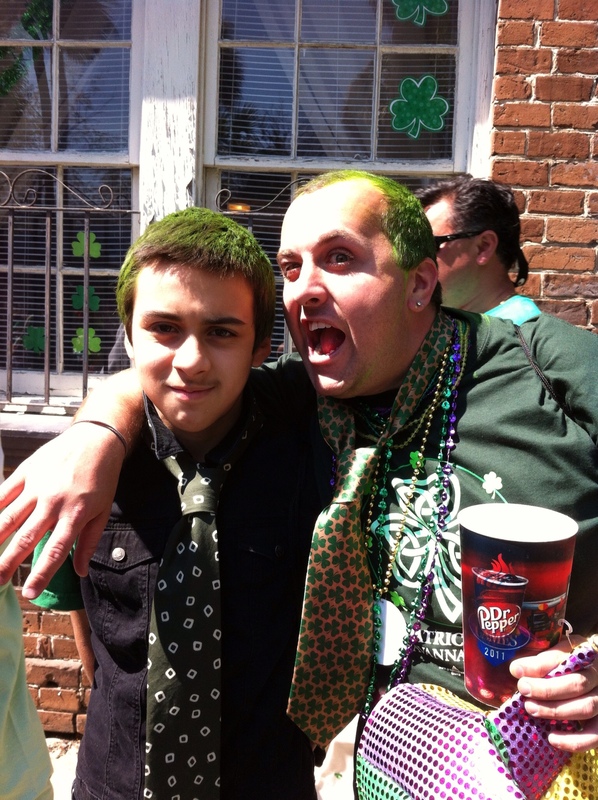 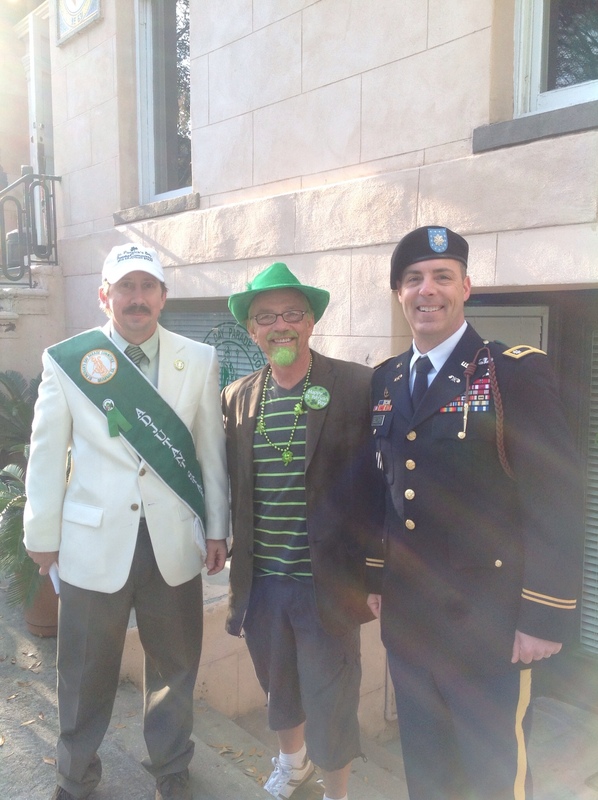 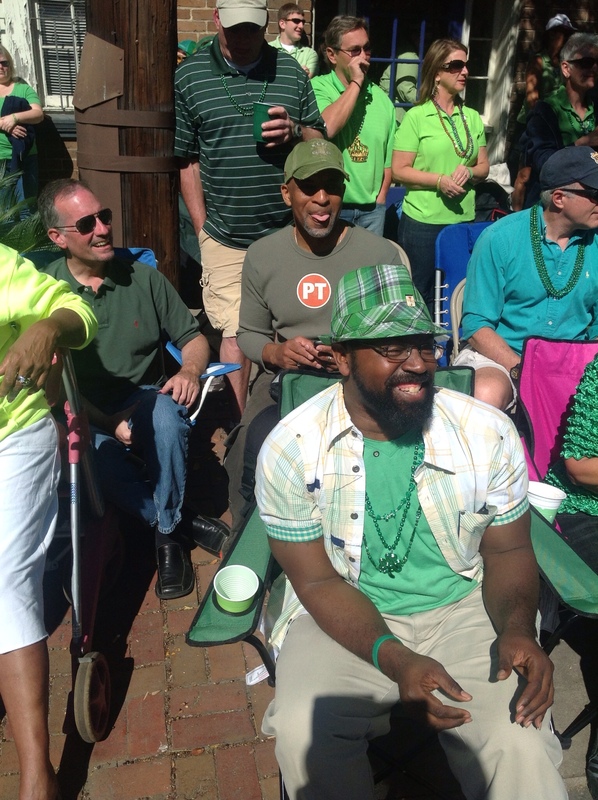 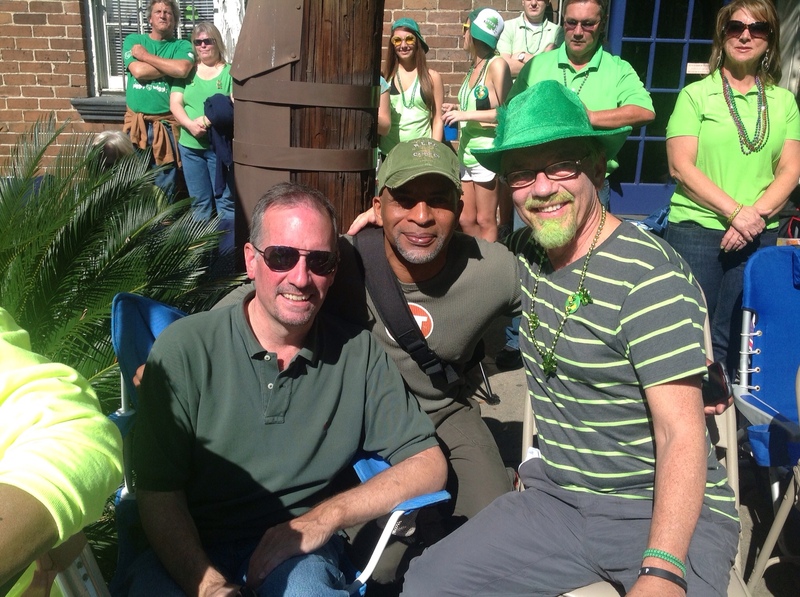 What a wonderfully fun Savannah Saint Patrick’s Day Celebration! 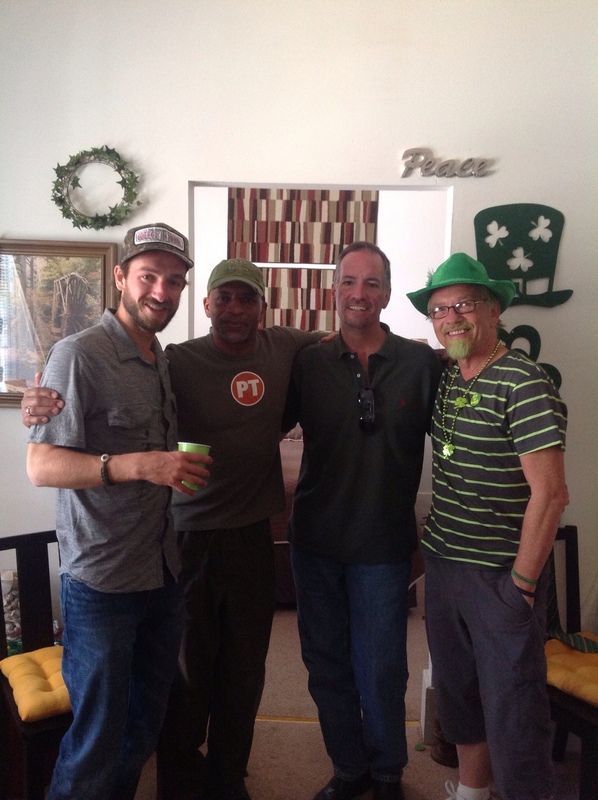 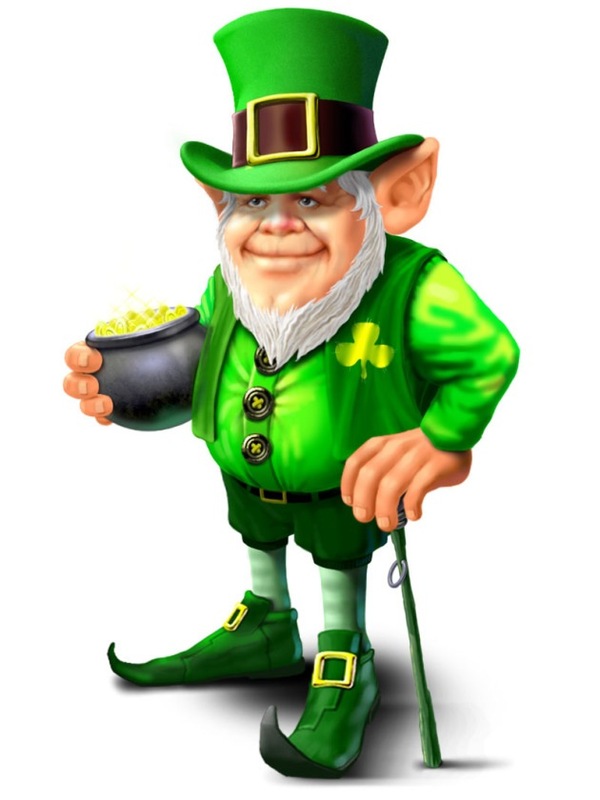 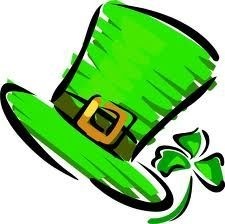 Happy Saint Patrick’s Day 2013!